Haunted Mansion Re-Make with the Hatbox Ghost? Guillermo del Toro surprised plenty of Comic Con fans in San Diego today with the announcement that he would be re-making Disney’s Haunted Mansion movie from the point of view of the infamous Hatbox Ghost. The Haunted Mansion, Disney’s first attempt at making a movie based on the ride, was a flop compared to the extremely successful series Pirates of the Caribbean which opened just a few months earlier. Personally, I am not too happy with this news. I really am disappointed with the lack of original rides the American Disney Parks have been producing. 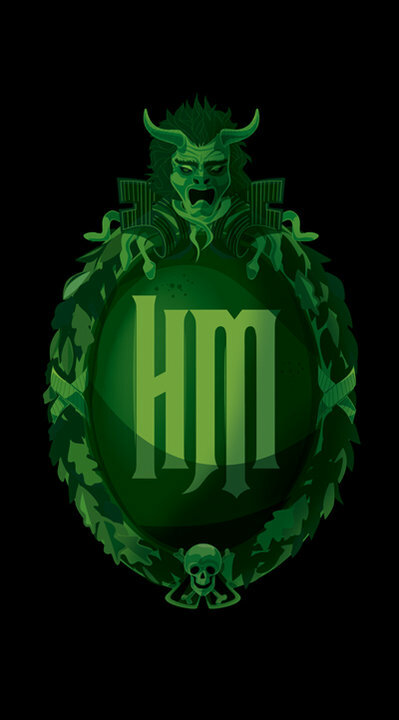 So to think that the Haunted Mansion, one of the few left non-movie E-Tickets would be given a movie overlay (i.e. Pirates of the Caribbean at Disneyland, the Magic Kingdom, and Tokyo Disneyland). However, this news does not guarantee it happening. Anyone remember Jungle Cruise: the Movie? 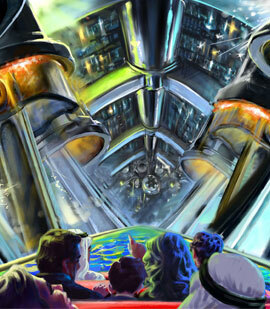 Or how about Tomorrowland and the Tower of Terror movie re-make. I guess we will have and see how this plays out. • Made in Maranello – A virtual trip behind the walls of the famous Ferrari factory in Maranello, taking guests through the intricate process of making the world’s most sought after car. • Viaggio in Italia – A virtual aerial voyage over Italy’s cities and their main monuments, mountains and coasts pursuing a Ferrari. 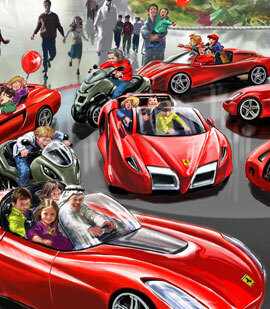 • Junior Training Camp – An interactive play area for children where they can engage with a waterless car wash, become custom ‘constructors’, climb up the grandstand, pilot remote cars, peddle their own miniature Ferrari and play with an F1™ car made of soft, guest-friendly foam. Shanghai Disneyland artwork as seen in presentation at the Walt Disney Family Museum. Since Disney confirmed Shanghai Disneyland back in November, little information has been released. However, there have been a handful of leaked details and rumored additions. This past week, to celebrate the 55th Anniversary of Disneyland, the Walt Disney Family Museum held a special presentation. And in the presentation, this slide showed up. 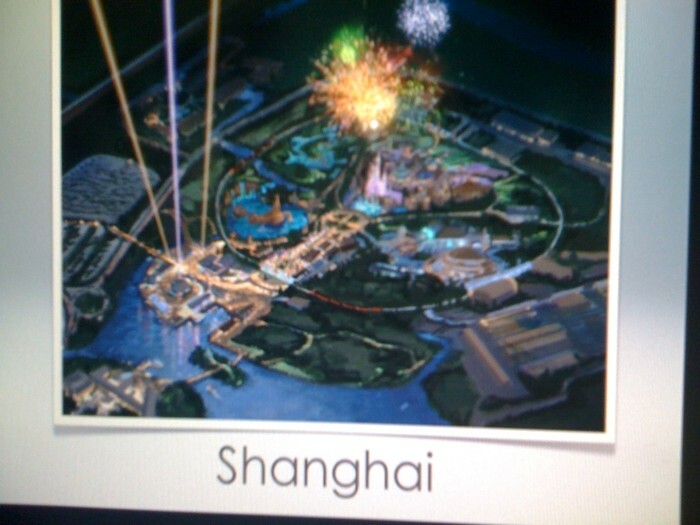 This appears to be the very first official concept art of Shanghai Disneyland. While it is very grainy, and very small, it does give an idea of the park. From it, we can see a large castle, similar to the Walt Disney World and Tokyo Disneyland castles, a hub and spoke style layout, a train that circles the park, Fantasyland, Tomorrowland, Adventureland, Main Street, and Frontierland, along with a shopping district, perhaps Downtown Disney. Several internet sources have stated that Shanghai Disneyland will take a new approach on the Disney park. 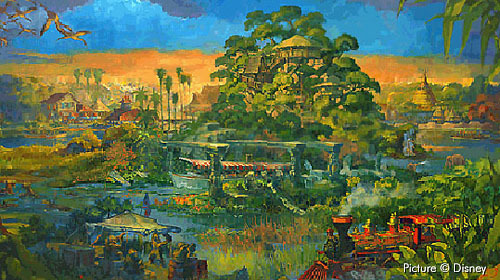 To further more support the idea, when Disney released concept art at their 2006 shareholder meeting, one depicted a new Disney park, and was water based around islands. Perhaps Tomorrowland will take the style shown above, and instead of featuring lands, it could now have islands. Hong Kong Disneyland Artwork looked much more attractive then the final result. Image copyright Disney. While this is all great indicators to a new version of the Disneyland park, lets not forget what the early Hong Kong Disneyland artwork promised is most certainly not what was received. Hong Kong left many promised attractions out of opening day, such as Toon Town, Frontierland, a Little Mermaid attraction, Peter Pan’s Flight, and much more. With the possibility of construction starting as early as November, we could be hearing more about the Shanghai theme park project in the coming months. Keep an eye out.